MANILA, Philippines - As the Philippines prepares for ASEAN economic integration and its hosting of the Asia-Pacific Economic Cooperation (APEC) forum in 2015, just how far has it gone towards ensuring its competitiveness in the region? Several government agencies gathered at a “Take the Lead” public governance forum Friday to report how they’re faring in that regard, and share ideas of how to address remaining barriers. Officials from the Armed Forces of the Philippines, Civil Service Commission, Department of Health, Department of Public Works and Highways, and Philippine National Police, among others, presented their accomplishments from last year in the context of their “breakthrough goals” for 2015 under the Islands of Good Governance (IGG) initiative by the Institute for Solidarity in Asia (ISA) and the National Competitiveness Council (NCC). The aim of the collaboration, said ISA chairman Dr. Jesus Estanislao, was to raise the standards of government practice. The performance of these institutions is measured through a “balanced scorecard” system and audited by external institutions to ensure “real, substantive performances (and) breakthroughs,” he added. 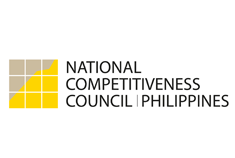 “We have made huge gains,” said NCC co-chair Guillermo Luz, citing global competitiveness reports such as the World Economic Forum Global Competitiveness Index (+26 change over three years until 2013); International Finance Corporation/The World Bank Ease of Doing Business Report (+28 change over three years until 2013); and Transparency International Corruption Perception Index (+35 change over 3 years until 2013). While other ASEAN countries with higher competitiveness rankings have more foreign direct investments, he said that the Philippines will do better as soon as it stays on track. Governance and competitiveness are connected strongly, he stressed, which was why the IGG initiative was an important one in achieving inclusive growth. Philippine Army commanding general Lieutenant General Hernando Iriberri also gave a speech. PNP Chief General Alan Purisima was present at the event as well. 8. 68,015 warrants of arrest were delivered. Under the Wanted Person Information System, 80,990 warrants were encoded on an online system since it was launched in 2012. DPWH Secretary Rogelio Singson updated participants on what his agency accomplished as well. Health Assistant Secretary Gerardo Bayugo painted a picture of the status of the agency’s projects, as well.